I had a bit of a hiatus on AR stuff while I got caught up doing some development for other Android apps. I'm getting married in a week so I thought I'd kick off by making an adaption of Qualcomm's QCAR (since renamed Vuforia) sample app ImageTargets into a novelty wedding gift. 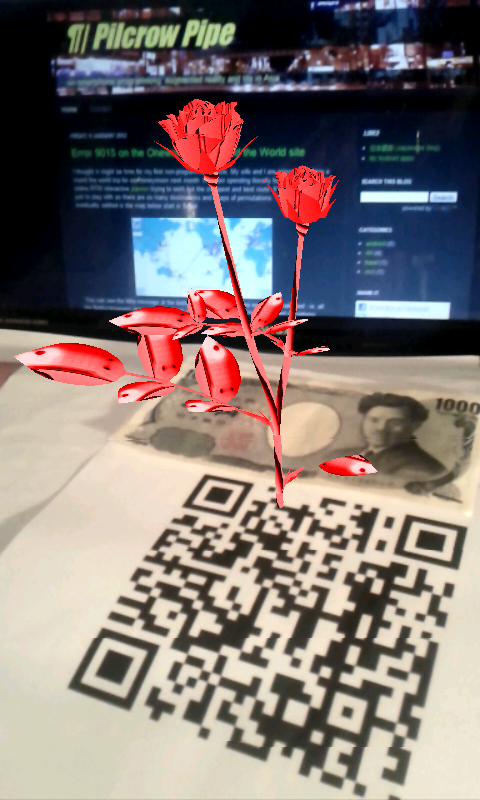 It simply shows a photo of the two of us for the splash screen and a rose as the 3D model. I'll be releasing both Android and iPhone versions which you can find from the corresponding links on the top-right of my blog. The links to the projects' sources are below. I won't go into detail of how I did what as that's just a little bit too time consuming with lots of wedding preparations to do;-) If you do have any specific questions feel free to drop a comment and I'll try and reply when I can. Here are the links to the projects' source code. I was using the QCAR SDK 1.5.4 beta1, the latest at the time of coding. Android project for Eclipse. I was using Eclipse Helios testing on my Nexus S 2.3.4 phone and my Asus Transformer EEE TF101 tablet running Android 3.2. You may need to edit the NDK settings so it can find the QCAR SDK properly. iPhone project for Xcode. I was using Xcode 3.2.3 and tested on my jailbroken iPhone 3GS running iOS 4.1 and on my iPhone4 running iOS 5. The project was in the same folder as the QCAR SDK sample projects, I'm not sure whether this would involve some settings changes if you use a different folder location. 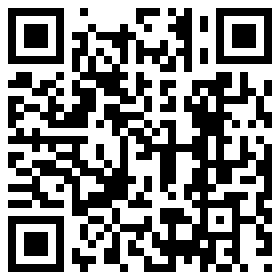 Besides the Japanese notes you can also use the following QR code as a marker. The colour of the rose associated with the QR code is red whereas the money trackables correspond with a red-green coloured texture.